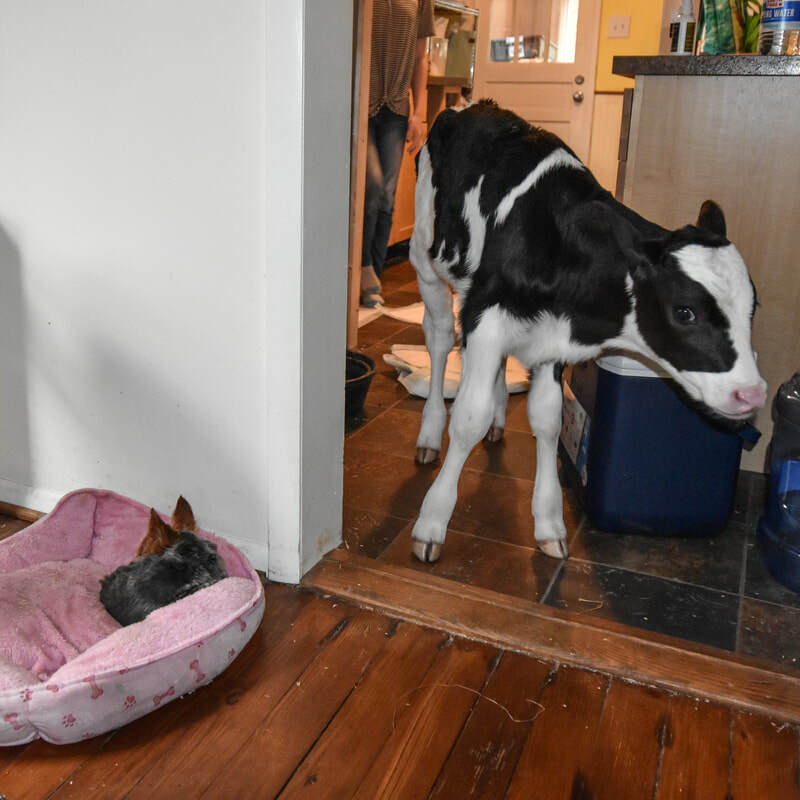 Jenna, named after the farmer’s daughter who saved her, was born on a dairy farm in North Carolina on November 3, 2018. She is what dairy farmers call a Freemartin calf because she had a twin brother. This meant Jenna was 90% likely to never be able to have babies or produce milk. 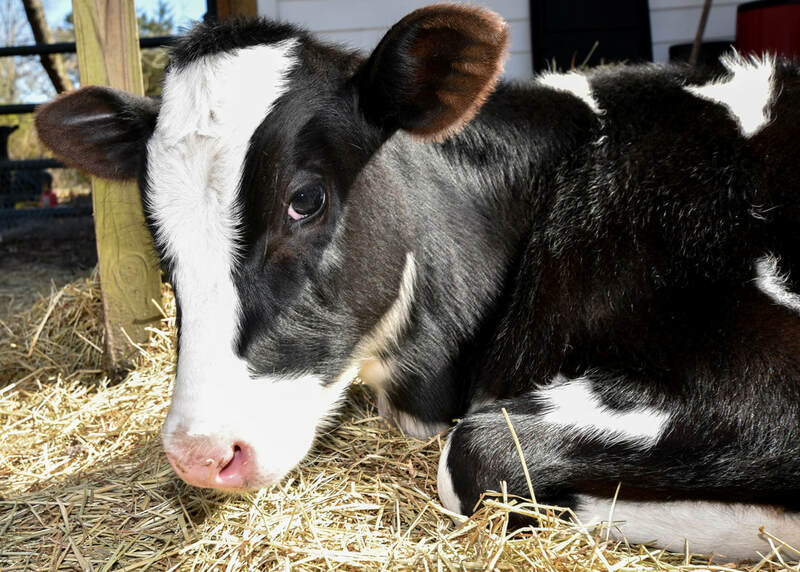 The dairy farmer planned to cut Jenna and her brother’s life short, but his daughter asked if she could find a home for them. She reached out to my friend Tia who went and picked up the 3-day old calf and met me in a mall parking lot. Along the way, people behind me got to watch a young calf occasionally stand up to empty her bladder in the glow of their headlights, but mostly she slept. And the minute we got home she nearly inhaled her first bottle of milk replacer. And now she is free to run and play and be the lively and spirited little calf she was meant to be.